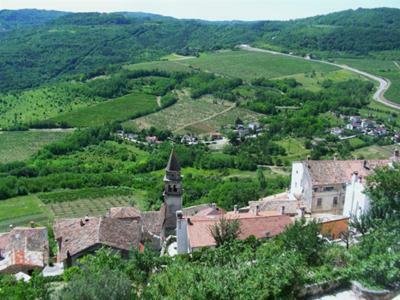 We recently undertook a day trip to the Istrian medieval hill top towns of Motovun and Groznjan. Both towns are situated high above the Mirna river valley and have wonderful views of vineyards and forests in the picturesque valley below. 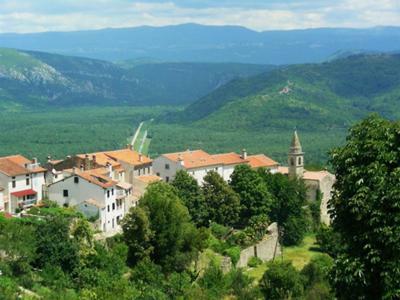 On approaching Motovun, you are greeted by the stunning sight of this picturesque walled town perched high on a hill. As the town is still encircled by the old fortified walls, it is possible to walk around the entire town and take in the scenic views over the valley. 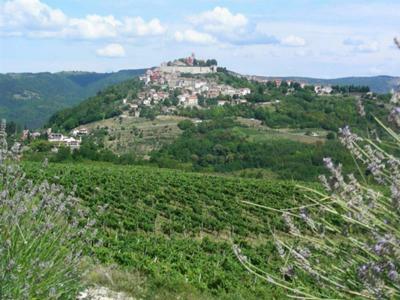 Besides being a major tourist attraction, Motovun is famous for its truffles and also the Motovun Film Festival which takes place over 5-6 days in late July and was in full force at the time of our visit. A few kilometres away is Groznjan, a small enchanting and pretty hilltop town offering a magnificent panorama of the surrounding area and is known as the "town of artists". 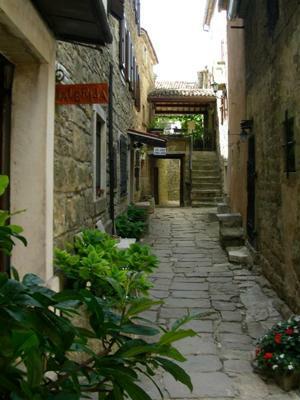 The town has a wonderful medieval character, with its narrow cobbled and flower filled laneways / alleys and many galleries selling ceramics, paintings, jewellery and gifts, as well as the odd stall selling honey and other local produce. In line with the town's artistic theme, Groznjan is also the location of an annual jazz festival which is normally held for two weeks at the end of July and early August. In conclusion, both these towns are quite stunning, extremely interesting and are a must visit.